MINNA GILLIGAN: Do ya get it? I am a bit behind on blogging because my shoes gave me awful blisters and I was so angry that I cut the straps off. But that's a lie. It really happened but it didn't stop me blogging. 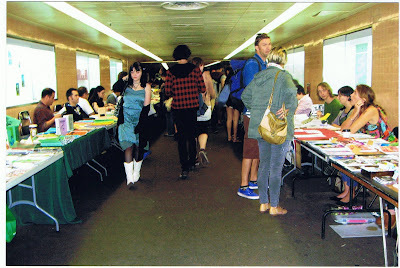 Anyway I must speak of the Zine fair that happened on Saturday. I had such a fantastic time and met some really nice cool smart Zine makers who I liked a lot. 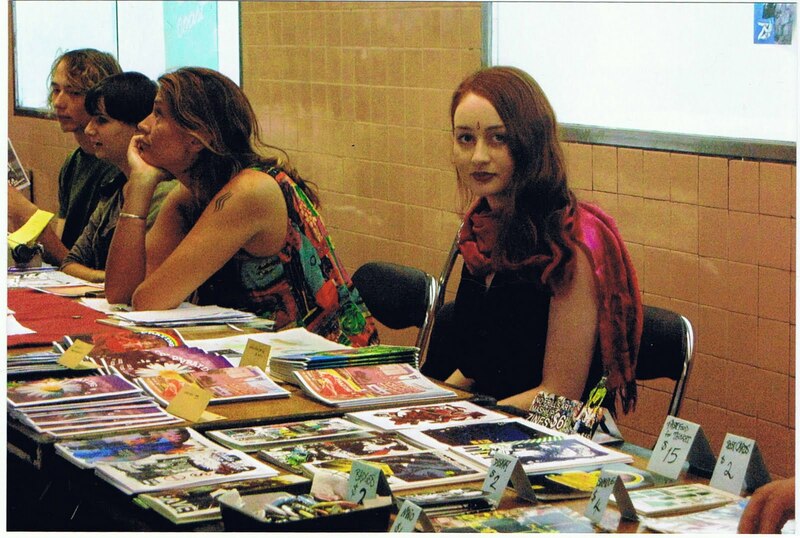 I sold not lots, but a good few Zines, and got some amazing feedback from people I really respect, so that was really encouraging. I am already starting on Issue #5 and I figure there's no stopping me now! It is very beneficial to be around other like-minded people, people who make Zines or art or music or writing or whatever. People who "get it". It reassures you that what you are doing is right and to be around other people making things is inspirational to no end. After the Fair on Saturday night I was busting to make and create a thousand things but ended up eating KFC in the KFC carpark. Interestingly it was one of the most insane things I have ever done.